First of all, all the credit for this masterpiece infographics goes to wamen_noodles, a user on Reddit that created all of this. 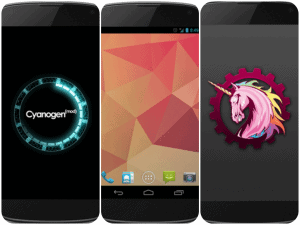 Now, let me introduce you to what it might be the best description of the features of, some would say, the best Custom ROMs out there: CyanogenMod 10.2, ParanoidAndroid and AOKP. The features are detailed in a series of pictures, and you will be able too see what’s similar and what are the unique features of each of these Custom ROMs. This can prove to be extremely useful for users that can’t decide which one of the 3 ROMs to use. Of course, normally you shouldn’t choose any of these ROMs if you ask us, but on your own risk, you should try all of them. With no other introductions, here you have the features of CyanogenMod, ParanoidAndroid and AOKP detailed in wonderful infographics. If you are on a limited data plan, you should switch to WiFi to reduce data consumption from loading the images. At the end please share with us, which one do you prefer?